September | 2017 | GameXcess.net - Gaming News, Videos and Editorials! Nintendo has just announced the first concrete details about the upcoming Nintendo World Championships. Take a look at the video below to see Nintendo reveal a game that is going to be played at the event, enjoy. That’s right guys, Metroid: Samus Returns is the first officially confirmed title to be played at the event! I know a lot of people have been enjoying this title on the Nintendo 3DS and Nintendo 2DS platforms, and that is just great. It stands to reason that other titles will be played at the event as well, and while you’re free to speculate about which other games may be played at the event in the comments section below, our money is on Splatoon 2, Pokkén Tournament DX, or possibly some other unannounced or unreleased titles. Tickets to attend the event will be free and will be handed out on a first come first served basis. We are seriously considering spectating this event, and are curious if any of our readers plan to go to the event as well. Post a comment below with your thoughts! Last week saw the release of Pokémon Gold and Pokémon Silver on the 3DS Virtual Console and Pokkén Tournament on the Nintendo Switch. What better time to talk about the thing that turned me back into a Pokémon fan, Pokémon Bridged? 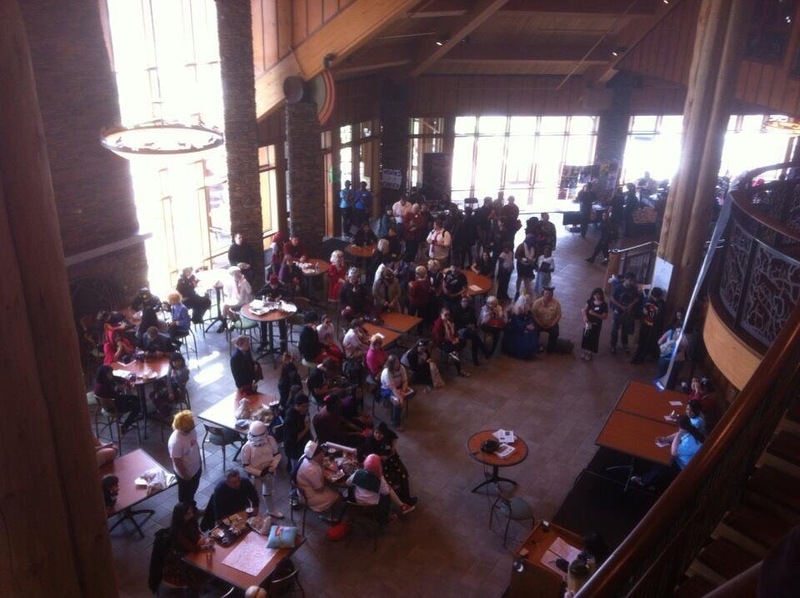 Back in the year 2012 a friend of mine took me to the inaugural Quinni-Con at the Quinnipiac University York Hill Campus. My friend was an otaku and a long time lover of anime, and because of that, I’m going to refer to him as Otacon for the rest of this article. While he had showed me lots of different anime over the years I wasn’t as well versed in the subject as he was. Quinni-Con was just the right convention at the right time. By that year, most conventions focused on fandom were expensive and required travel. Meanwhile, the Quinni-Con was completely free of charge and it was happening very close to my home, so you can be sure I was very excited to attend it. 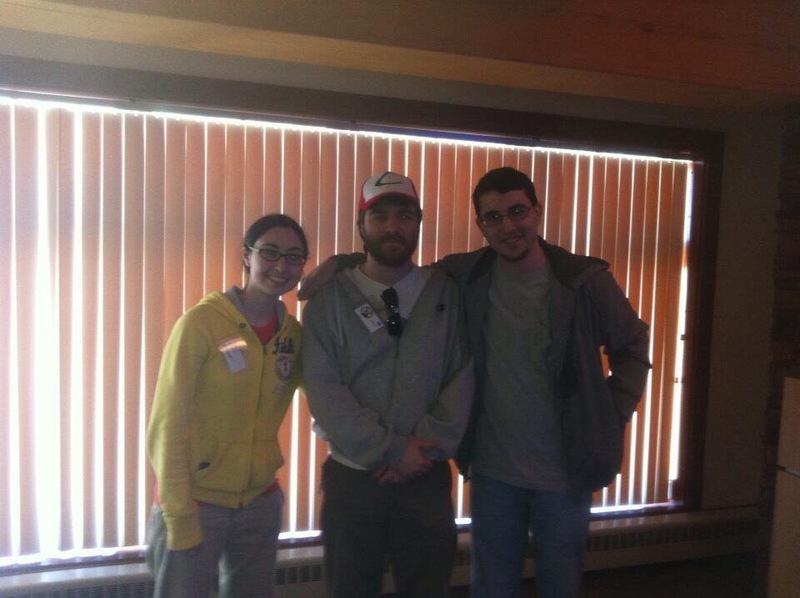 Quinni-Con was a small convention taking up the student center of a smaller university, but two of the featured guests at the convention for that year were OneKids and Nowacking from the web series Pokémon ‘Bridged. At that point in my life, I was completely unfamiliar with that series but like many people who grew up in the 90s, I was familiar with Pokémon. I told my friend Otacon we should check out the panel. While Otacon was an enormous anime fan, he wasn’t familiar with Pokémon. However, he agreed to check out the panel with me after I gave him a brief explanation about the games. At the time, I was not familiar with any of the developments on Pokémon since the release of Pokémon Gold and Pokémon Silver for the Game Boy Color, but I certainly was familiar with the original Pokémon games, and had seen the first two seasons of the animated series back when it first aired. I hoped my outdated knowledge would be enough to get through the panel. When we arrived in the panel room I met two of the minds behind the group who would eventually call themselves the Elite3, Mike “OneKids” Heicht and Jessi “Nowacking” Nowack. That’s when I watched Pokémon ‘Bridged for the first time. Here’s one of the episodes we watched. They had taken the original episodes of Pokémon: The Animated Series and put their own twist on it! This was a series that was familiar to me, yet presented in a whole new way. The jokes were funny, the editing was sharp, but the best part about it was the whole series was clearly made by people with a true love of the source material. This was the perfect series for a person like me to watch. It was not only hilarious, it reminded me of everything I had loved about Pokémon. Otacon and I had a blast at the panel, and it was great getting to know two of the people behind it. Pokémon ‘Bridged was funny, but it meant a lot more than that to me. Watching Pokémon ‘Bridged reignited an enormous passion within me for the Pokémon franchise that I don’t think Nintendo could have accomplished on its own. I hadn’t played any of the games or watched any of the movies in nearly twenty years, in fact I hadn’t owned a new Nintendo handheld since the original Game Boy launched. However, Nintendo was making great strides with their recently released Nintendo 3DS. The 3DS could not only play all 3DS games, it could also play the enormous library of DS titles. At the time, the recent Pokémon games had been released on the DS, making the 3DS look like a great deal to me. When the 3DS XL launched in August 2012, I picked one up on day one. I also ended up scouting every website and store for new copies of the Pokémon games I had missed out on. Throughout the rest of the year I researched the nearly twenty years of Pokémon history that I had missed, while trying to acquire all the new games that I could. Thankfully new copies of the GEN5 games weren’t that difficult to find, and I would eventually end up picking up all of them. When Nintendo officially announced Pokémon X and Pokémon Y in 2013, I bought the GEN6 games on their release date. One year after the inaugural Quinni-Con, Quinni-Con 2013 was gearing up to be an even bigger event, and this time I was ready for it, I even got a hat. The Pokémon ‘Bridged group was returning and I couldn’t wait to see them again. They were even nice enough to take this picture with me. I would catch the team who would later call themselves the Elite3 a few more times over the years. In 2014 I met xJerry64x, the voice of Brock in Pokémon ‘Bridged. A lot changed that third year. Mike actually recognized me on the con’s show floor, and we all ended up taking a bit before their panel! I even got the chance to introduce them to my girlfriend at ConnectiCon a few years later. They could not be a nicer group. In the years since I first started watching the series, the Elite3 have greatly expanded their content. They now have a Pateron, and do regular gaming streams on Twitch. I’m also looking forward to seeing Nowacking continue her playthrough of Pokémon Snap. Meanwhile, because of their work, I finally got back into the Pokémon universe, and enjoyed every second of each game I played through. Without Pokémon ‘Bridged to remind me how much I loved this franchise, I don’t think I would have ever considered picking up a Nintendo handheld again. I wish everyone at the Elite3 only the best! An incremental update has been released for iOS 11 handhelds including iPhone, iPad and iPod Touch devices. The new update, iOS 11.0.1, officially lists only minor bug fixes in its changelog, but my research has told me the update fixes a minor bug with certain email providers. The size of the download should depend on the device you’re updating. On the iPhone 7, the update weighs in at around 250Mb. You can download it on your iDevice right now. It’s Sunday! Welcome back to an all new Gaming History You Should Know, where we feature some of the best content from across the internet focused on the history of gaming and we’ve got a great one for you today! Everyone knows the story of Superman. Created by Jerry Siegel and Joe Schuster, Superman is the story of the ultimate hero. An alien immigrant from a destroyed homeworld who grows up on Earth with traditional American ideals. After he becomes an adult, he uses his unique physicality to help him perform heroic acts and strives to set an example all his own. However, Superman’s enormous strength can ironically be his greatest weakness from a storytelling perspective. He is inhumanly strong, has the ability to fly, invulnerablity, super speed, heat vision, and breath as strong as a hurricane. He’s just too powerful, and playing as him in a video game could be boring to a player. Back in the day, a company called Titus were huge fans of the KidsWB show Superman: The Animated Series, and obtained the license to produce a Superman game in that style for the Nintendo 64. It would go down in history as one of the worst games ever made. How could a game with so much promise be such a disappointment? Was it a problem at Titus or were other factors at fault? The YouTube Channel Wrestling with Gaming took a long, deep look at the development of the game. He did his research on this one, digging deep into old interviews with the principle developers. It’s well edited, well written, and really worth a watch! Hope you all enjoyed the video as much as I did! I would like to give an extra special thanks to Yahel over at Wrestling with Gaming for letting me feature them! If you haven’t checked out their YouTube channel, you totally should. Their documentary on the history of the Phillips CD-i is also great! It’s been about a year since the release of the Pokémon Go Plus accessory in the US. The Bluetooth device is an accessory specially designed to help trainers get the most out of Pokémon Go. It specifically allows players to catch Pokémon or interact with Pokestops without the need to run the Pokémon Go app constantly on your smartphone. Before we take a further look at the device what do you say we take a look inside the box? Need help setting up your Pokémon Go Plus? We will have some Pokémon Go Plus how to videos up soon! Pokémon Go is out now on Android and iOS smartphones and tablets. Apple has just released their next major iOS update for all 64-bit compliant iPhone, iPad and iPod Touch devices. The new software update brings in tons of new features including Augmented Reality improvements, an improved iPad interface, and promises to be much faster and secure. The size of the download required for the iOS 11 update depends on the device you’re upgrading. On an iPhone 7, the update weighs in at around 1.9GB. You will not need to install the update if you own an iPhone 8, iPhone 8 Plus or iPhone X, since they ship with iOS 11 pre-installed. Ever since Square Enix ported Final Fantasy VII to the PS4, I had been hoping that more Final Fantasy games from the PS1-era would get released. Today, out of the blue, Square Enix has announced they have released Final Fantasy IX on the PS4. Final Fantasy IX will be sold at a discounted price until September 29th. However, I need to ask, why hasn’t Square Enix released Final Fantasy VIII on PS4 yet? Final Fantasy IX is out now for PS1, PC, iOS and now PS4.